From BB-8 to Huyang to the inimitable R2-D2, it’s not too much of a stretch to say that the droids of Lucasfilm’s Star Wars universe are among some of the most recognizable and beloved characters within Hollywood’s sci-fi genre. 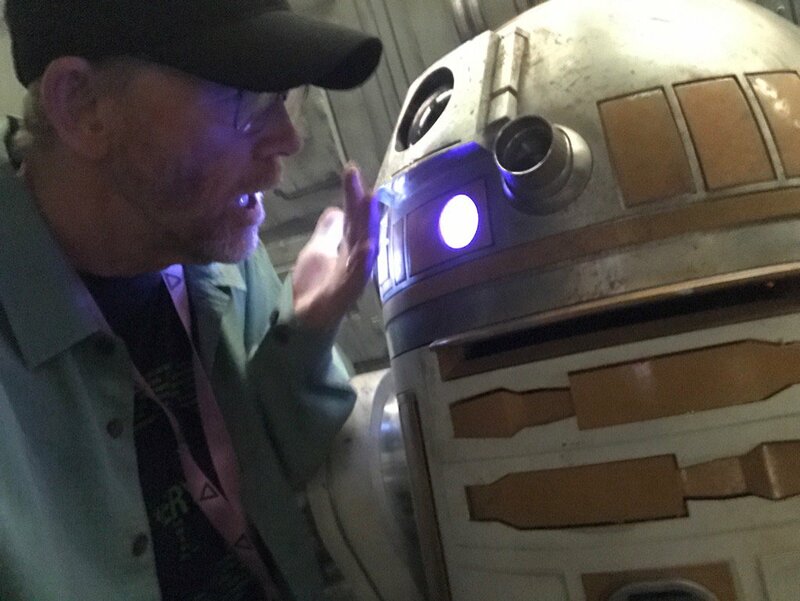 More often than not, those robotic allies bring levity to the on-screen drama – think of how C-3PO and Artoo have helped shape the Skywalker saga ever since the release of A New Hope four decades ago – and at least based on Ron Howard’s latest pair of set photos from the in-development Han Solo movie, droids will continue to play an active role in Disney’s rebooted franchise. Not unlike Rogue One before it, Howard and his team, who took over the reins on Disney’s second Star Wars Anthology movie following the departure of Phil Lord and Chris Miller, face the tricky task of recreating the look and feel of the original trilogy. Said to take place across seven defining years of Han Solo’s life, we know that Alden Ehrenreich is attached to play the young smuggler, who leaves his home planet of Corellia in his bid to loot and plunder as much of the galaxy as humanly possible. Granted, Solo is not exactly what one would call a believer in the Force (“there’s no mystical energy field that controls my destiny”), so it’ll be interesting to watch his origin story unfold. 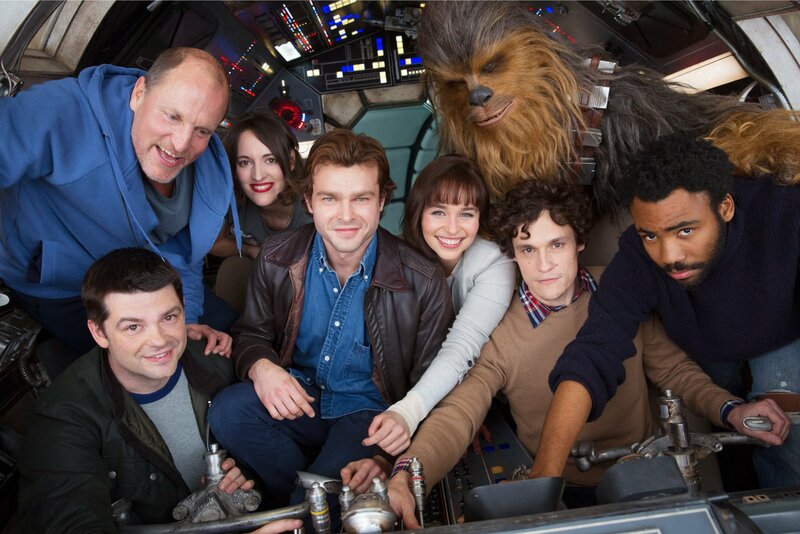 The as-yet-untitled Han Solo anthology movie will be with us on May 25th, 2018. One year later, Colin Trevorrow (Jurassic World) and his team will bring about the end of Disney’s rebooted Star Wars trilogy with Episode IX, though with tentative plans in places for new movies all the way up until 2022, this is a franchise that shows no sign of slowing down – not now, and perhaps not ever.